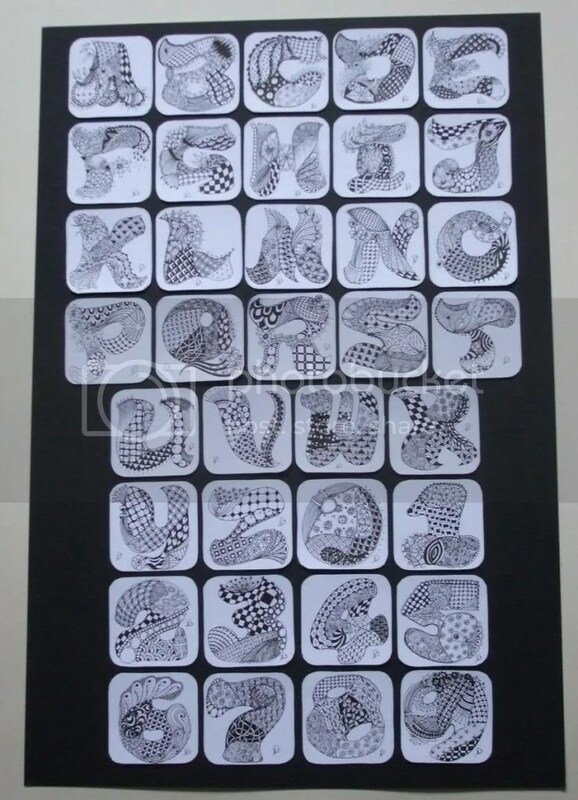 I am determined to get the whole alphabet finished by the end of the month so I shall have to step up production over the weekend! 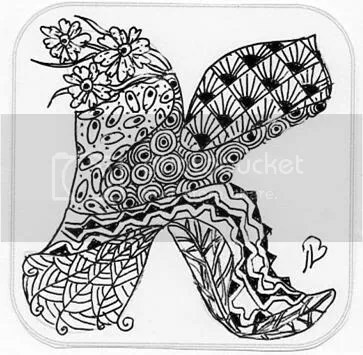 Either way she will be very welcome!! 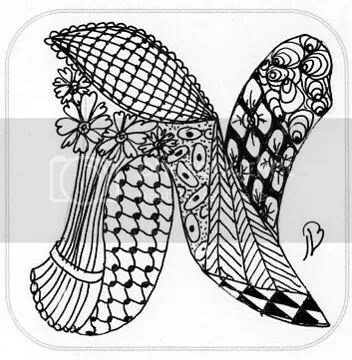 I thought I was going to miss posting anything today…but as you can see it all turned out OK! 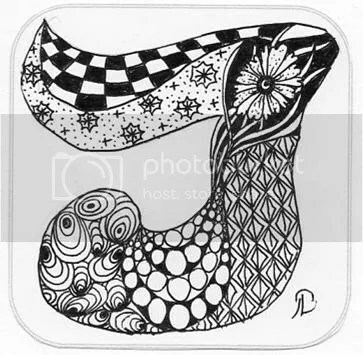 Lots of shopping and cooking today and nothing worthy enough to photograph so it is time to add another couple of zentangles. 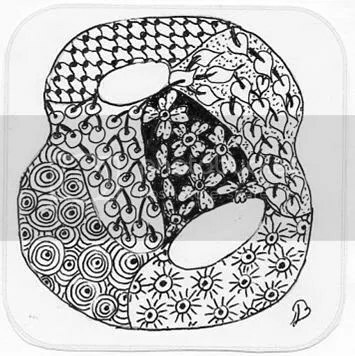 At day 15 I have doodled 17 zentangles out of the 36 I planned to do this month so I think I am on track to get them all done. 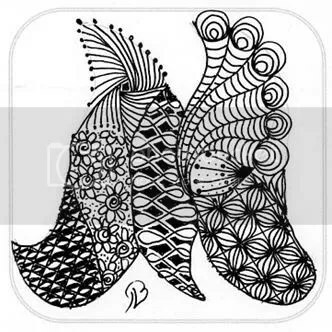 I have also found a great zentangle website today which gives an index of more than 100 zentangle patterns…no excuse now for using the same patterns over and over again! 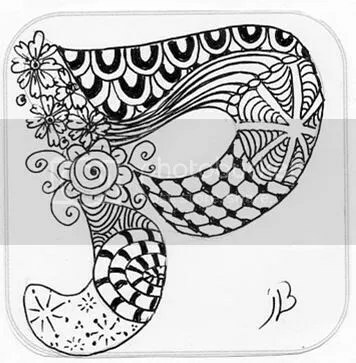 I Left It L8 Again! 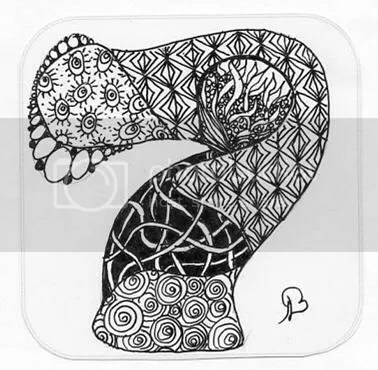 I left it a little late again today to get my ‘thing’ done so it is zentangles again. 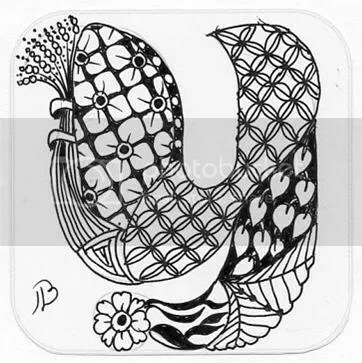 Tomorrow I will try to get something different posted but for tonight I am just happy to have done a letter I and the number 8. 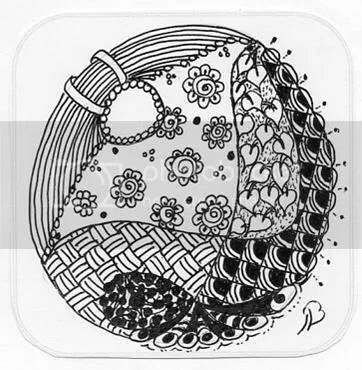 I have tried a new pattern here in the I, something called Betweed, that I saw on the zentangle website and thought looked rather cool. 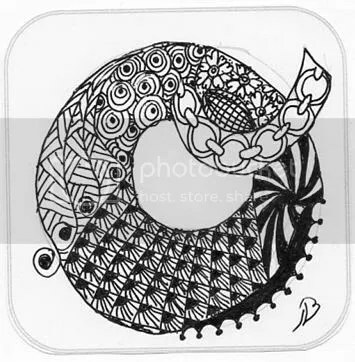 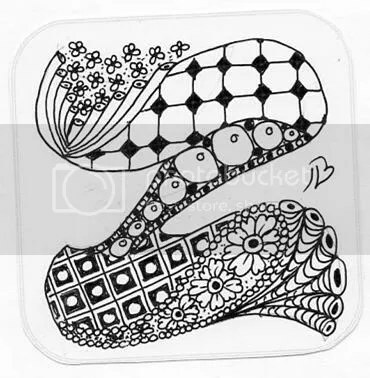 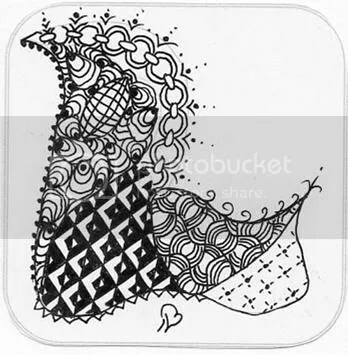 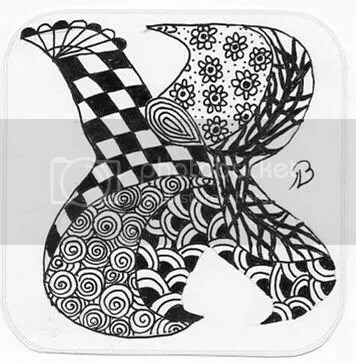 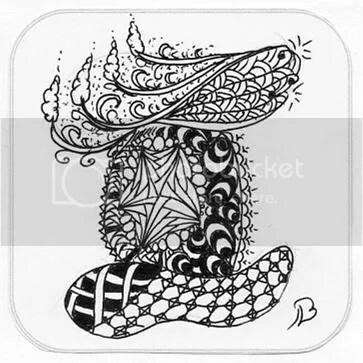 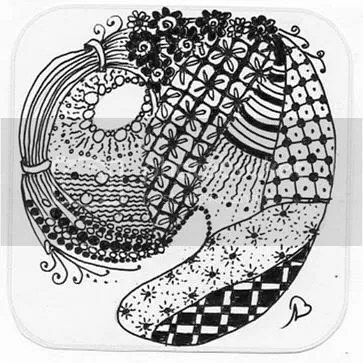 Have a look there – there are backdated newsletters there that will show you how to do loads of different zentangle designs.